Video editing is easy in our two high-definition edit rooms, equipped with 2013 Mac Pro “cans”. We also have three Mac Pro tower-equipped edit stations in the “Alley”, ready for light editing, animation, graphics, or audio needs. Both suites are outfitted with 46-inch HD displays, Black Magic Design UltraStudio 4K converters, and Genelec studio speakers. 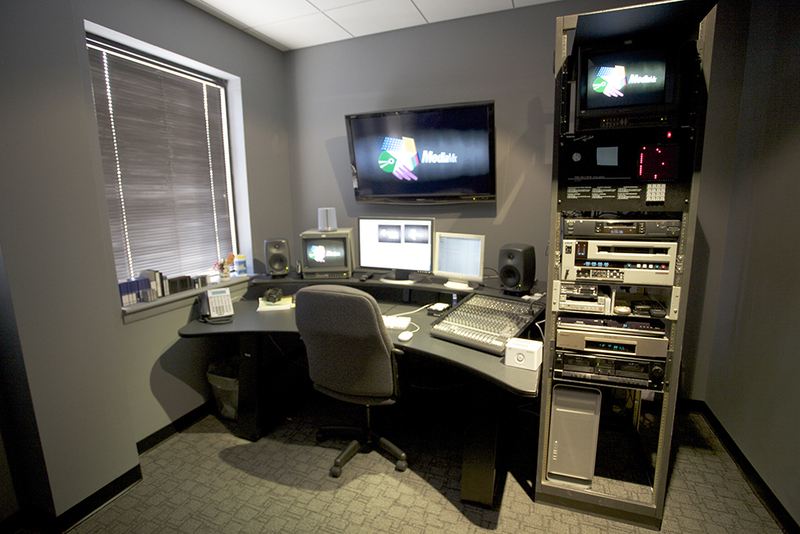 Feel free to take a virtual tour of our facility and edit suites. Get occasional updates or get a quote for your next project. Copyright © 2019 MediaMix, Inc.
Find us on the socials, too.